* Recipient contact numbers must be supplied with each order. This is to ensure that we can contact you directly in the event of a delivery issue. * A signature will be required to confirm receipt of a delivery. Unfortunately we cannot accept delivery to PO Box addresses. * We will deliver to the address provided by you and cannot accept any responsibilty for late or failed delivery if the quoted address or contact details provided are incorrect. In the case of goods having to be returned to our premesis and re-sent, a secondary delivery charge will apply. We are unable to change the delivery address once the parcel has been dispatched from our premesis. * Parcels will be dispatched Monday – Thursday (excluding bank holidays). Ireland & NI parcels will be delivered next delivery (for orders placed before 12 noon the previous day only). UK parcels will be delivered within 2 working days. 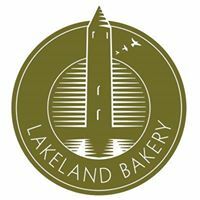 * Lakeland Bakery reserve the right to alter shipping costs at any time with increases in fuel surcharges or shipping rates by our couriers.